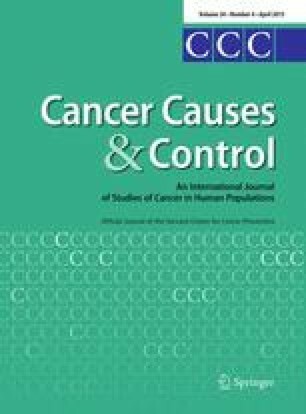 Recognition of the complex, multidimensional relationship between excess adiposity and cancer control outcomes has motivated the scientific community to seek new research models and paradigms. The National Cancer Institute developed an innovative concept to establish a center grant mechanism in nutrition, energetics, and physical activity, referred to as the Transdisciplinary Research on Energetics and Cancer (TREC) Initiative. This paper gives an overview of the 2011–2016 TREC Collaborative Network and the 15 research projects being conducted at the centers. Four academic institutions were awarded TREC center grants in 2011: Harvard University, University of California San Diego, University of Pennsylvania, and Washington University in St. Louis. The Fred Hutchinson Cancer Research Center is the Coordination Center. The TREC research portfolio includes three animal studies, three cohort studies, four randomized clinical trials, one cross-sectional study, and two modeling studies. Disciplines represented by TREC investigators include basic science, endocrinology, epidemiology, biostatistics, behavior, medicine, nutrition, physical activity, genetics, engineering, health economics, and computer science. Approximately 41,000 participants will be involved in these studies, including children, healthy adults, and breast and prostate cancer survivors. Outcomes include biomarkers of cancer risk, changes in weight and physical activity, persistent adverse treatment effects (e.g., lymphedema, urinary and sexual function), and breast and prostate cancer mortality. The NIH Science of Team Science group will evaluate the value added by this collaborative science. However, the most important outcome will be whether this transdisciplinary initiative improves the health of Americans at risk of cancer as well as cancer survivors. This work was supported by the National Cancer Institute Centers for Transdisciplinary Research on Energetics and Cancer (TREC) (U01 CA116850, U54 CA155626, U54 CA155435, U54 CA155850, U54 CA155496). All authors were funded by the NCI as part of the TREC Initiative. The opinions or assertions contained herein are the private ones of the authors and are not considered as official or reflecting the views of the National Institutes of Health. Thanks are expressed to all the co-principal investigators, investigators, and co-investigators who are contributing to the study, and also to key staff at each site: TREC Coordination Center: Carolyn C. Ehret and Gina Widell. Harvard University: Vanessa Boulanger, Nancy Campbell, Amy Lane, Laura Shockro, Miranda West, and Devin Wigler. University of California, San Diego: Lisa A. Cadmus-Bertram, Lesley G. Ellies, Shirley W. Flatt, Suneeta Godbole, Simon J. Marshall, Jessica L. Oratowski Coleman, Bilgé Pakiz, Brinda K. Rana, and Nicholas J. Webster. University of Pennsylvania: Renata Alford, Justin Brown, Laura DiGiovanni, Rebecca Dilks, Deborah Dole, Margaret Evangelista, Anagha Kumar, Venetia Lambert, Monica Laudermilk, and Zi Zhang. Washington University in St. Louis: Victoria Anwuri, Casey Fagin, Robert Grubb III, Jennifer Haslag-Minoff, Timothy Hower, Christine Marx, Qiang Wang, and Jessica Wu. Finally, the TREC Initiative is thankful to all the study participants whose involvement is critical to curing cancer!